Applications for 2019/20 entry are now closed. 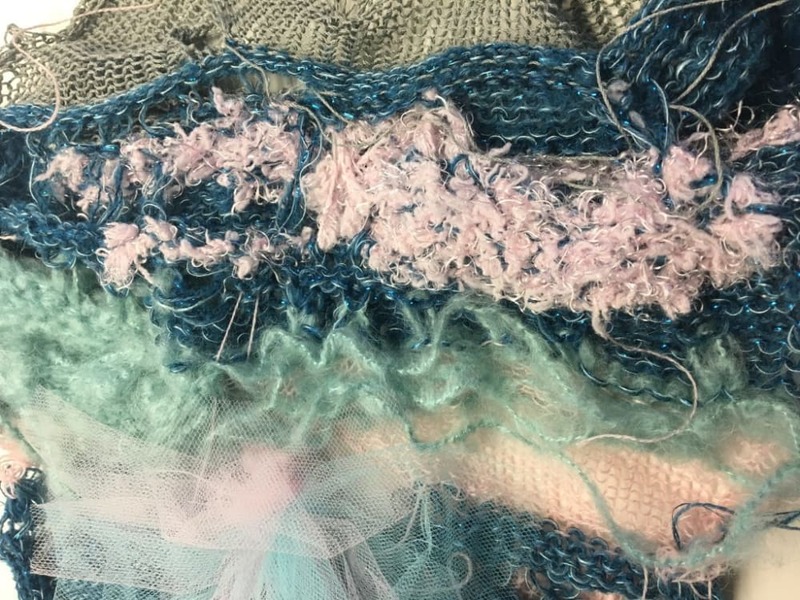 This textiles degree specialising in knit, teaches students how to design and produce surface pattern and texture for fashion fabrics in preparation for a career as a textiles designer. Students on this specialist knitwear textiles pathway explore surface pattern and texture for fashion fabrics through knitted structures. You will learn how to use domestic and industrial knitting machines and digital knit technology. Technology is used extensively as a tool to inform the design process and foster creativity. Personal and Professional Development (PPD) skills embedded in the course give students a strong start in a highly competitive industry. Recent graduates have found employment at companies including Mary Katrantzou, Louis Vuitton and Adidas . Benefit from access to specialist, industry standard equipment. Unlike a lot of the Design courses, BA (Hons) Fashion Textiles: Knit is based at Lime Grove in Shepherd’s Bush. Find out about the local area, including Holland Park and Notting Hill in our local area guides on the Student Life pages. Take a tour of Lime Grove's textiles facilities from construction labs to knitwear machinery. Through learning skills, applying technology and developing your individual creativity, you will become an innovative and original textile designer, able to design for international markets ranging from high street to couture. The course will develop your skills in research, drawing, design development and presentation, fashion textile development and manufacture, 3D awareness, fashion textile forecasting and trend development, market analysis, and awareness of forward thinking textile and fashion concerns such as sustainability and ethical issues. 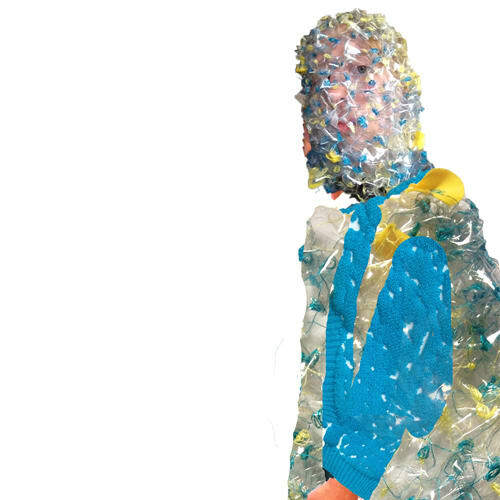 The course is fashion focused with opportunities to experiment, apply and inspire technical, creative collaborations across courses including pattern cutter, menswear and womenswear students in the 3D realisation of your textile designs. This collaborative practice is established through appropriate sponsored projects and cross course partnerships in the first and second years of the course and may lead to collaborations where final year textile students and final year fashion students work together to produce a complete textile and fashion product range. Fashion textile students participate in international competitions, winning awards with annual textile competitions such as Texprint, Hand and Lock - as well as fashion competitions such as FAD with Fashion Scout at London Fashion Week and Diversity NOW competition with I-D Magazine. Our students continue to receive press across a wide range of international publications including Dazed & Confused, Vogue, I-D, and Wonderland. Echoing the focus on drawing on the course, students have also won awards at the Nina De Yorke Scholarship Award for Illustration, DRAW FASHION awards and CASS ART illustration competitions. 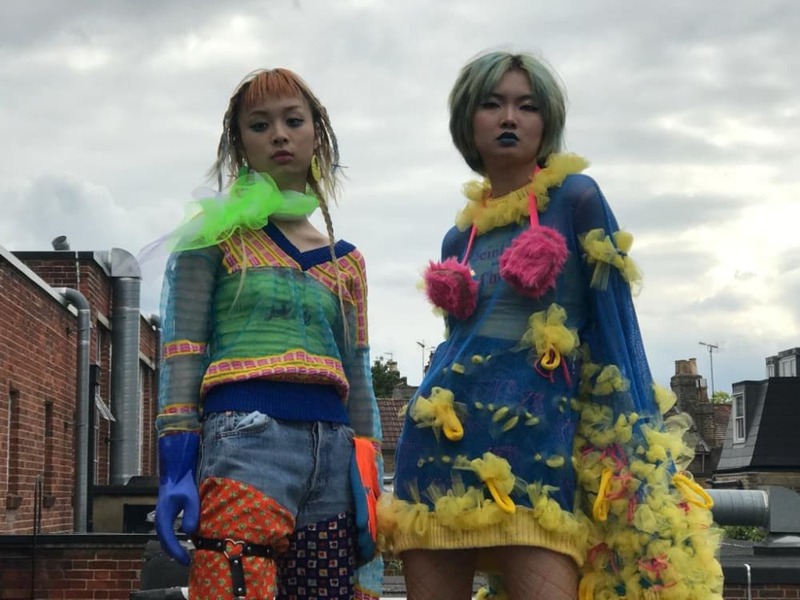 Recent accolades have seen LCF BA Fashion Textiles student Elizabeth Ranson win the prestigious Worshipful Company of Framework Knitters Award for her advocate of natural dyes and sustainability in her final year work and Fashion Textiles graduate Emily Grieves winning the Society of Dyers and Colourists London. 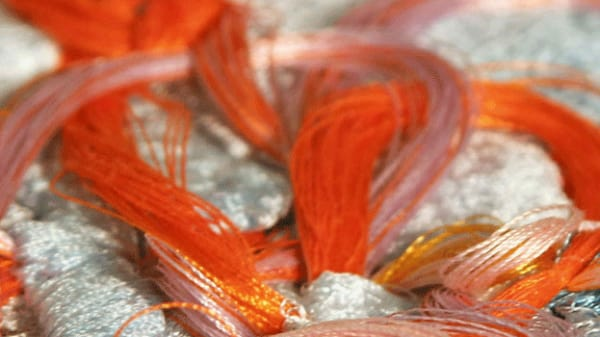 The Introduction to Fashion Textiles: Knit; Print; Embroidery unit aims to introduce you to your course and its subject specialism as well as to effective learning and studentship at undergraduate level. It will orientate you to the practices and knowledge base needed to understand your discipline and help you to develop your skills for independent and collaborative learning, reflection and your own self-development. Students come from many diverse educational backgrounds and a part of this unit will enable to reflect on your own background and how that shapes the way you approach your course. This unit has three core purposes: * To introduce you to your discipline in the context of study at a Higher Education level * To introduce you to learning skills and the requirements of effective studentship at undergraduate level * To orientate you within your course, the College and the University Emphasis is placed on the skills needed to locate, navigate and communicate information and ideas effectively and appropriately. You will be introduced to resources that support your studies. We will also discuss studentship, the importance of being an engaged and participatory member of the group and your own personal and professional development. The Experimental Process: Knit; Print; Embroidery unit introduces you to a variety of research approaches for textile design and their relevance and application to the creative design process and realisation of ideas. Research and creative concepts are the basis for design ideas and this unit establishes the relationship between these areas and 2D/3D textile outcomes within a fashion design context. There will be a focus on the importance of research and creative concepts to inform the originality of design and its realisation. Visual communication and critical evaluation will be integral to this unit. You will be introduced to ways of recording your work in a visually stimulating, exciting and informative way using a variety of methods and media. You will be introduced to contextual textile practice and be expected to conduct independent research to develop design concepts within a relevant context, to realise and present innovative fashion textiles and related fashion design development ideas as appropriate for your specialism. Emphasis will be placed on the development of drawing and colour-focused presentation skills to develop design responses relevant to the project brief. The unit will also use IT programmes for design development, communication and presentation. You will be introduced to core practical skills within your textile specialism through demonstration and studio practice and will be encouraged to nurture innovation through an emphasis on drawing and an exploration of techniques. You will be asked to develop creative ideas that relate and expand upon your visual references to inform the final outcome and you will be encouraged to use resources in order to produce creative samples, which will further establish the link between 2D and 3D and the development of design. Independent study will help to further enhance skills learnt within sessions. The Introduction to Industry Practice unit will ask you to research and develop a range of fashion textiles that shows your response to an identified market. You will be introduced to areas such as brand awareness, market levels, customer profiling and range building. Alongside your understanding of the fashion market you will need to critically evaluate the overall design quality of products. This unit will introduce you to an opportunity to work in cross-disciplinary collaborative activities that simulate industry practice. In response to a simulated and/ or professional brief you will be required to work in partnership or in small teams to contribute to the development and execution of core samples within a ‘capsule collection’. The emphasis of this element is creative collaboration and team-working that balances the individual contribution within the collective output. Individually, this unit will also allow you to further research and critically develop sampling that show a specialist response to an identified market. The emphasis is on creative problem solving and developing solutions with your peers through discussion and negotiation, in your response to the brief requirements. Networking, communication, teamwork and presentation are all essential skills required to undertake the challenges of the creative industries. London College of Fashion, UAL (LCF), is a leader in fashion design, media and business education. We have been nurturing creative talent for over a century, offering courses in all things fashion. We encourage students to examine the past and challenge the present. To have inventive, assertive ideas that challenge social and political agendas. We give students the skills, opportunities – and above all, the freedom – to put those ideas into practice. By leading the way in fashion design, business, and the media, we influence culture, economics and our society.This unit will provide you with a solid understanding of LCF’ core values and how they connect to your practice. As part of this unit you will explore diversity, social responsibility and sustainability, themes which you will then apply to a selected project. At this stage the emphasis is on how you apply your thinking across these important themes to your practice. Your thinking is more important than a finished piece of work at this point.Fashion can change lives. Through teaching, specialist research, and collaborative work, this unit will get you thinking differently. We want you to use fashion to examine the past, build a sustainable future and improve the way we live. That’s why we call this unit ‘Better Lives’. The Future Craft unit will require you to carefully consider the future of textile design and production through research and consideration of the environmental, social and cultural impact of your textiles on a global level. To illustrate this, a dual emphasis will be placed on the innovative use of traditional hand and craft techniques with digital processes to promote the idea of sustaining textile crafts in the future. Using the skills developed within Stage 1, this unit will further develop your research, analysis and design development techniques. It will prepare you to predict, influence and inform global forecasting that inspires the fashion industry as well as increasing your contextual knowledge and technical skills within your specialism. There will also be an emphasis on professionalism through portfolio presentation and the development of interpersonal skills through formative peer presentation. In this unit, you will be asked to explore the possibilities of creating and promoting a directional range of fashion textiles to external clients including real or simulated industry and/ or cross course designers. The use of appropriate industry relevant software packages will be further developed in conjunction with the design and technical skills sessions, and should be used as a vehicle for both experimentation and clear communication of design ideas within a professionally presented body of work. The Work Experience unit will provide you with the opportunity to further develop your skills and apply them in a professional environment. You will experience real industry challenges and working practice and will be able to examine the way in which a professional team respond to different situations. The unit will increase your awareness of the industry and the opportunities for career progression. You will be expected to take an analytical and reflective approach to the work experience and will produce written and visual evidence of your knowledge, based on a minimum 10-week period in industry. LCF Careers will provide career guidance in order to prepare you for your work experience. You will be expected to engage and be proactive in securing your own work experience, relevant to your skills and career aspirations, this means applying directly to companies. You will also be expected to provide feedback on your experience both during and after your work placement. The College Placement Handbook will provide additional support for this Unit. The Designer Identity unit will consolidate all of the processes that have been developed within previous units and challenge you to consider your place, role and identity within the fashion textiles industry. Through reflection and development you will be exploring your own design aesthetic and produce a body of work that shows an individual and directional response to client, market and product. This unit has two purposes: * individual creative textile exploration in response to brief; * realisation of textiles within cross discipline team collaboration. You will be required to identify a justifiable creative concept within your specialist field of practice and investigate a personal response to the brief that will culminate in a range of design outcomes showing a deep understanding of research, analysis, design development, experimentation and manufacture. The unit will enrich your research skills and provide a basis for your work, especially in your final year of study. This unit emphasises teamwork and will offer you the opportunity to work as part of a design team and will introduce you to a range of key employability skills. There will be an emphasis on an awareness of the market along with a knowledge and critical evaluation of an overall design quality. This unit provides you with an opportunity to explore and experiment with different critical and methodological approaches to research, while also introducing you to a range of established research methods and the role of research within design and technology. You will formulate a plan for future research into your subject specialism and construct a research proposal and presentation. The Design Synthesis unit will inform and prepare you for the Final Major Project. You will be expected to negotiate a project brief that will allow for a full investigation into an exploratory research and practical journey culminating in a body of work that shows innovative design and technical experimentation with materials, process and potential 2D and 3D solutions to be considered, dependent on your specialist pathway. Projects may vary depending on your personal direction. You will be expected to engage in textile sampling and/ or prototype testing that will be evidenced through 2D and/ or 3D investigation as relevant to your specialism, within both your design and technical portfolios. The focus on this project is using your skills to show extensive documentation of creative experimentation in your specialist area of study considering hypothetical, analytical and physical conclusions. You will be expected to identify your proposed market and customer and, in a Statement of Intent, identify your core philosophy as a designer, in preparation for your Final Major Project. The completed investigations will form the basis of your collection for your Final Major Project. The Final Major Project unit is the culmination of your undergraduate learning experience. Through the negotiation and development of a final major project you will be further demonstrating your innovative approach and deeper engagement, analysis and conclusions drawn from your Design Synthesis unit. You should now be refining and executing your design, design development and realisations established through a process of design synthesis. The negotiated Final outcomes will be individual fashion textile collections and/or balanced with 3D realisations through cross course collaborations highlighting the strengths of the partnership within each subject discipline. Through practical application you will be demonstrating your rigorous analysis in the exploration and development of your design ideas for fashion textiles. This unit provides the opportunity to apply your findings, discovered through your investigation of the challenges of your chosen brief. It evidences your ability to construct, direct and organise an overall professional outcome. This project is the vehicle for you to evaluate and reflect upon your own learning and skills in order to establish a potential career path. 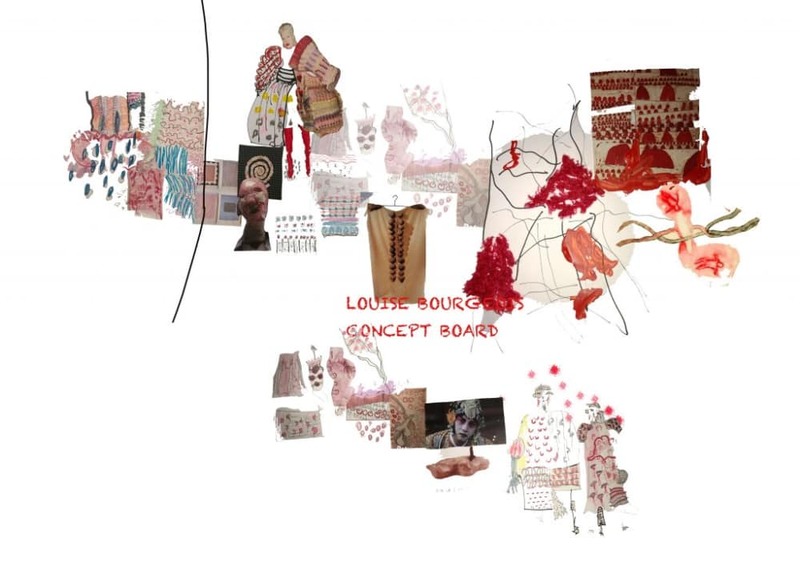 Laura Bell is the course leader for BA (Hons) Fashion Textiles with academic leadership in the specialist area fashion textiles, which incorporates print, knit and embroidery. Working with luxury companies such as Preen by Thornton and Bregazzi, she has over 15 years experience across specialist roles in textile design, womenswear and illustration, exhibiting her work in Europe, Japan and New York. 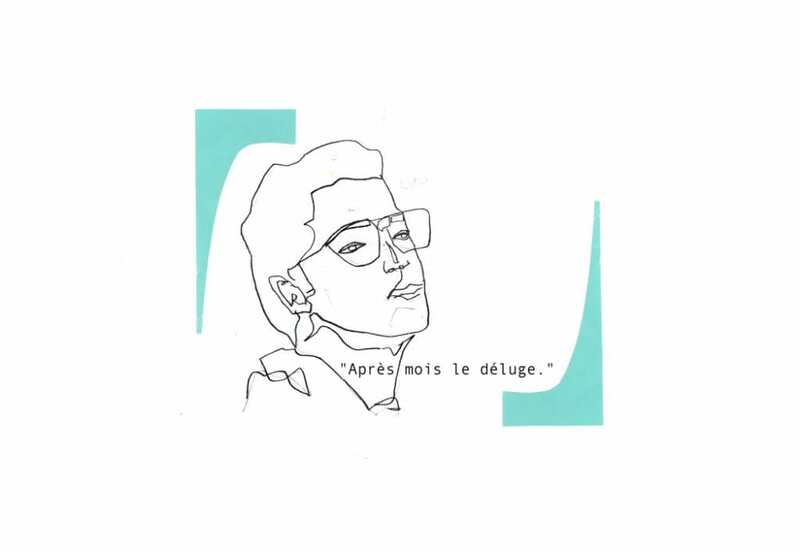 Her research interests focus on the cross-disciplinary and collaborative approach to textiles and design, and encouraging students with individual creative empowerment to realise their full potential within the field of textiles and pedagogical practice. 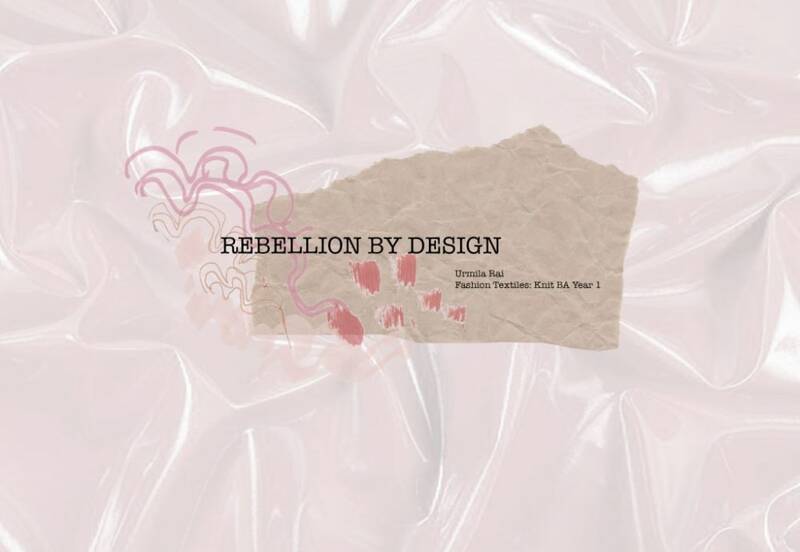 She puts emphasis on design innovation, raising awareness and challenging attitudes within fashion textiles on the global impact of design and how it can be used as a positive force for change. She has won a number of student-led awards for her teaching, and her professional experience extends to Enterprise and Business Start-Up consultancy. Read Laura Bell's full profile here. 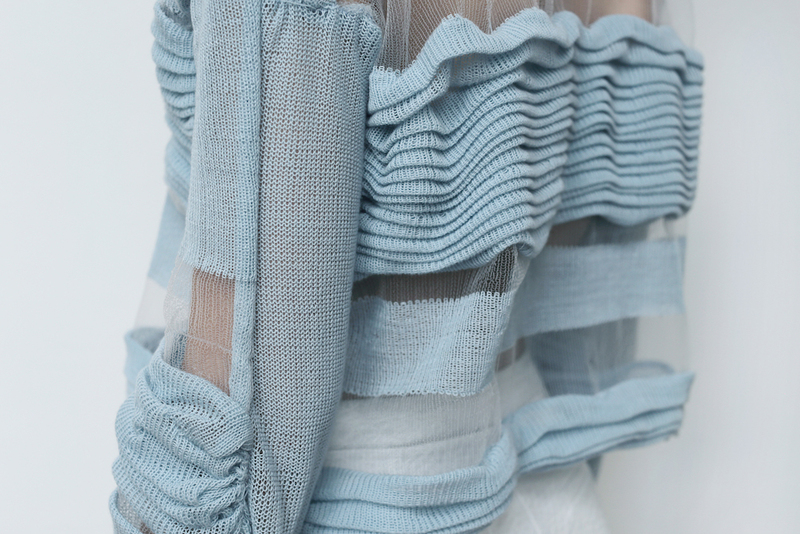 Sarah Cheyne is a lecturer for the BA (Hons) Fashion Textiles course and an MA graduate from the RCA. With over 20 years experience in the creative industries including running her Dalston-based design studio. Sarah has created textile designs for clients in Europe, USA and Japan, selling to an international clientele including Christian Dior, Guy Laroche, Aquascutum, Calvin Klein & Macy’s. As an alumni of Texprint (TexSelect) Sarah has worked with the organisation for over 20 years, helping launch the careers of talented textile graduates. As projects coordinator she has arranged paid internships with companies such as Paul Smith and Liberty, accompanied prizewinners to Shanghai to exhibit their work at Intertextiles, and is frequently invited as a member of the judging panel for the prestigious TexSelect awards. 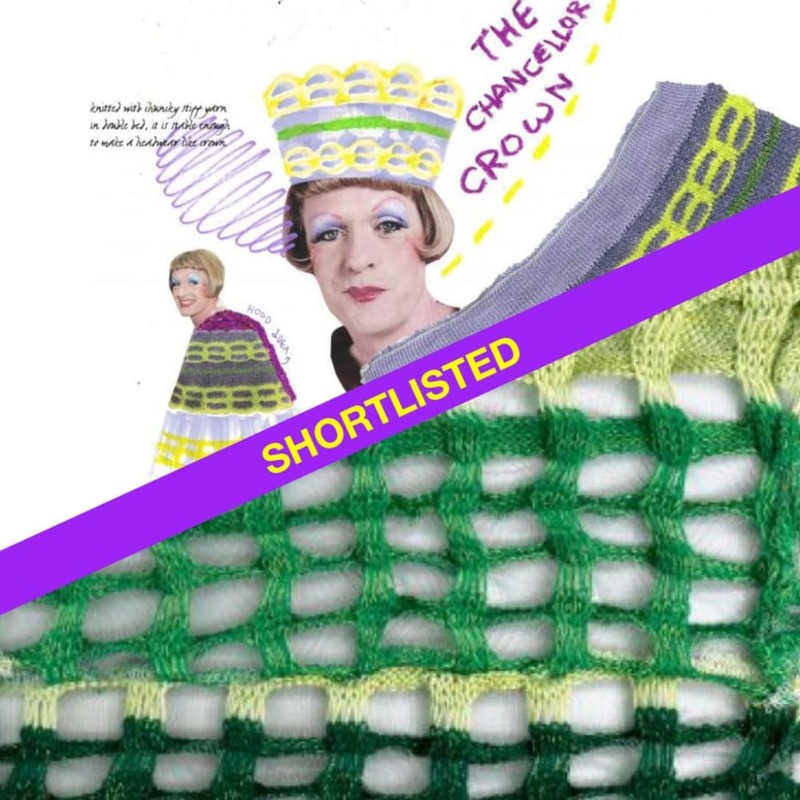 Carolyn Clewer is the pathway leader for BA (Hons) Fashion Textiles: Knit and an MA graduate from the RCA. Carolyn works in knit partnership 'Paris Essex' rooted in fashion, archive including knitwear and accessory collections and collaborations. Now creating one-off pieces that blur craft, design, high art and low culture, her work has been exhibited, sold and published internationally. 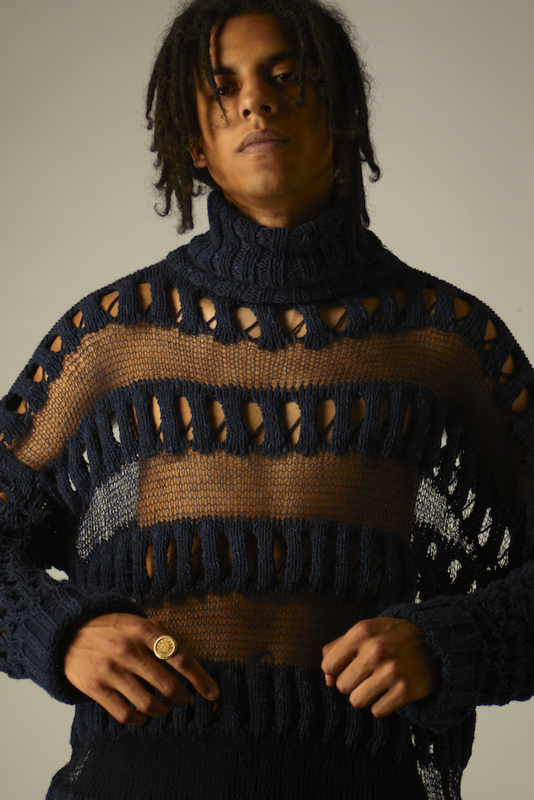 Recent collaborations include digitally designed, customised knitwear projects with Unmade Studio and capsule menswear knit collections for Wolsey. Carolyn is an advisor to digital knit machine developers Kniterate. She has extensive teaching experience and has won a number of student-led awards at UAL. 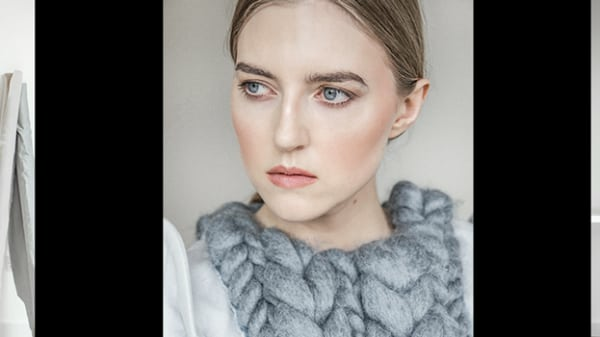 Amanda Griffiths is a tutor for the BA (Hons) Fashion Textiles course and teaches design across the textiles specialisms and is a Knit Textiles specialist. Amanda is a graduate from the RCA in Fashion Knitwear and has been a visiting lecturer and personal tutor on the RCA Textiles course for many years. She has worked internationally as an in-house knitwear designer for companies such as Maxmara, Whistles and Liberty London and has worked as a freelance knitwear designer and consultant, selling to clients such as DKNY, Calvin Klein, Marc Jacobs, Missoni, Gap, French Connection among others. She is also a partner in Jeff Cottenden Photography. Clients include The Royal Opera House, Barbican, Sony, Conde Nast, and Penguin Random House. Amanda has an extensive range of higher education experience in the UK delivering specialist knitted textile and knitwear teaching. 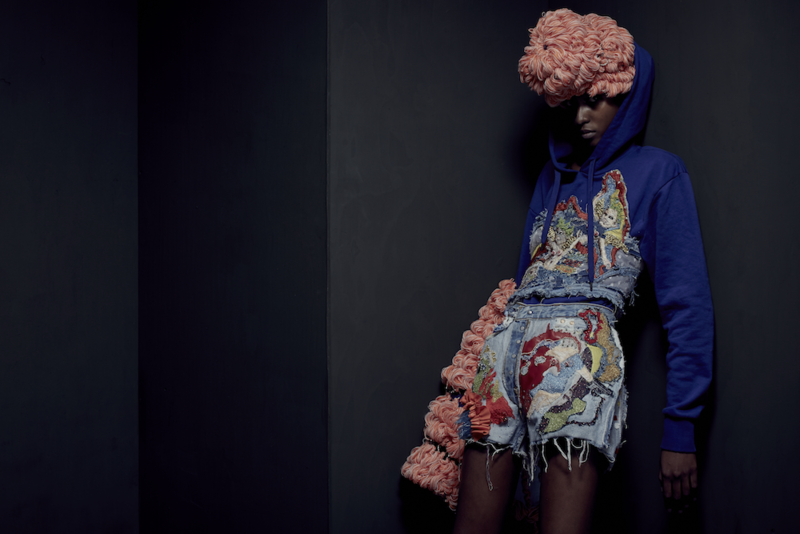 Andy Kenny is the pathway leader for BA (Hons) Fashion Textiles: Embroidery and an MA graduate from the RCA. Andy is also the director of the London Embroidery Studio. His latest research has explored the subversion and manipulation of machines and CAD programs and a narrative and anthropological approach to people-centred design. Andy’s work has been published in magazines such as Vogue and GQ and on style platforms such as WGSN. Recent work was included in the exhibition and symposium ‘Flight: Drawing Interpretations’, The National Gallery,London. Michela Carraro is the specialist design tutor for the Fashion Textile courses. 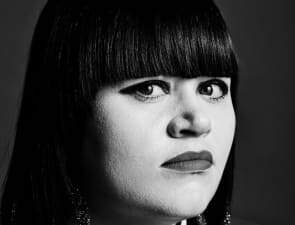 She has worked for numerous luxury brands including Alexander McQueen, Biba and Danielle Scutt and has created independent capsule collections that have been showcased in Milan and London. She has collaborated with many photographers and artists including stylist Sarah Richardson on a variety of projects, advertisements and editorial fashion stories for: ID, Russian Vogue, Elle US. Her teaching focuses on design underpinned by the relationship between textile development and the principles of 3D design interpretation. Polly Kenny is the programme director for Materials and has an MA in Fashion Studies. Her industry experience is extensive and has been through collaborative partnerships with, for example, Broderie Anglaise and Peter Wright Europe Ltd, with clients, including Ronit Zilka and Morris Angels, and at the industry’s textile fairs. She is a member of the Higher Education Academy and Vice Chair of the London Branch of the Society of Dyers and Colourists. Her practice-based research focuses on the mark of the hand through digital and craft processes investigating the archive and textile memories. Rob Phillips is the creative director for the School of Design and Technology. Trained in fashion womenswear, surface textiles: print, menswear and illustration. Rob nurtures talent at LCF across all courses within the School, teaching holistically about fashion, developing the students’ full potential so they can make their unique contribution to the fashion industry. Rob continues to contribute to industry as a fashion commentator (BBC, The Guardian, SHOWstudio and more) and as creative consultant for fashion brands. Read Rob Phillips' full profile here. Depending on the quality of your application, you may be asked to submit a number of images of your work. For this course your portfolio should show evidence of: observational drawing; presentation skills; contemporary fashion/cultural awareness; a level of research, analysis and experimentation; engagement with texture and form; practical manipulation skills; construction/technical competence; potential to think/work in 3D; and visual communication skills. If the course team wish to consider your application further, you will be invited to our interview week (18th to 22nd February 2019) where the course team will look at your portfolio and ask you questions to establish your suitability for the course. Applicants will be expected to demonstrate the following at interview: a strong interest in fashion, fashion textiles and visual imagery; an awareness of technology; a critical and analytical approach; a motivation to succeed on the course; and a motivation for working as a fashion textile designer. If the academic team wish to consider your application further, you will be invited to attend an interview either in person or via telephone where an international academic will look at your portfolio and ask you questions to establish your suitability for the course. Applicants will be expected to demonstrate the following at interview: a strong interest in fashion, fashion textiles and visual imagery; an awareness of technology; a critical and analytical approach; a motivation to succeed on the course; and a motivation for working as a fashion textile designer. Graduates leave with a broad skillset, enabling them to enter a wide spectrum of creative industries. Alumni have continued onto careers with companies including Burberry, Erdem, Adidas, Victoria Beckham, Ralph & Russo, Alexander McQueen, Topshop and Mary Katranzou. Graduates wishing to continue their specialist academic practice have successfully progressed onto a broad range of MA courses, including Royal College of Art (MA Textiles, MA Womenswear) within the University at Chelsea College of Arts and Central Saint Martins (MA Womenswear, MA Material Futures) as well as fashion at international institutions such as Parsons in New York (MA Textiles, MA Womenswear). This textiles degree helps students forge a career as a creative designer for fashion textiles through the specialist pathway of print. This textiles degree in embroidery nurtures the next generation of textiles designers for the fashion and apparel industries.